Traditional roofing felt has long been the roofing underlayment of choice among builders and contractors. This is in large part because for decades, there haven’t been many options to choose from. These days, however, there is a growing demand for alternatives — and Epilay is meeting that demand by providing synthetic options to traditional felt roofing underlayment. Let’s take a look at the purpose that underlayment serves as well as the things you’ll need to consider when choosing between synthetic and felt roofing underlayment. What is the Function of Underlayment? Underlayment is an essential part of any roofing system and there are a variety of reasons for this. First, a good underlayment preserves the lifespan of a roof by serving as a barrier between the top layer of roofing material and the roof deck’s substrate. As such, a good underlayment helps keep tar in shingles and other roofing materials from soaking into the wood beneath the underlayment. Roofing felt also serves as a secondary moisture barrier in existing roofs as well as a temporary moisture barrier while a new roof is being installed. Should damage occur to the roof after installation, felt acts to help prevent moisture damage to the roof deck. Most traditional roofing felt is made of a paper that is soaked in asphalt and other compounds to give the paper water resistance, and it’s available in 36-inch wide rolls, usually in 15# and 30# weights. These paper underlays have been the standard in roofing for decades because they are the most prominent material available and as such, traditional felt underlays are what contractors are used to using. Compared to synthetic materials, traditional felt is less expensive, plus it’s readily available to builders. When it comes to making the switch to synthetics, there are lots of advantages that justify the extra cost. Synthetic underlayment lasts longer than traditional roofing felt, which makes it a better investment for homeowners. It’s also more water resistant, which means greater protection for the roof deck should the primary roofing material fail. 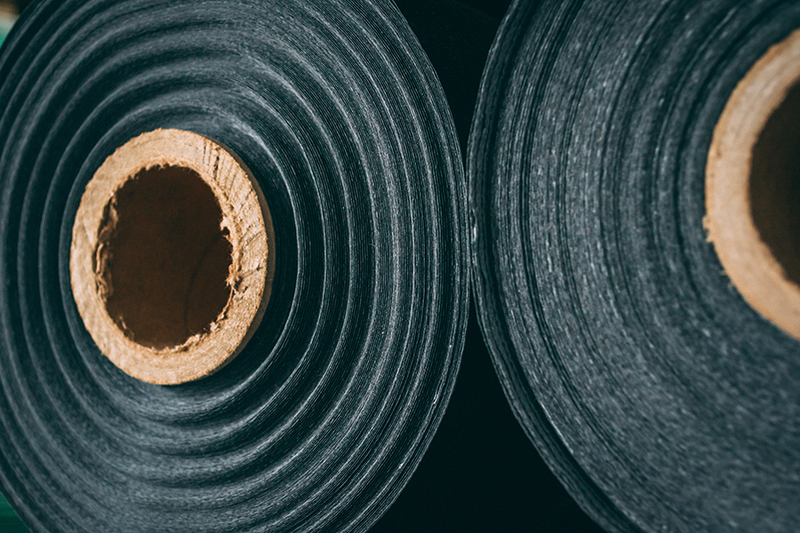 Synthetics don’t rot, buckle or crack, which means they’ll provide a sound barrier for years to come. For the contractor, the advantages are numerous. First, the surface of synthetic roofing underlayment is generally slip resistant, which makes it easier for workers to move around on steeply pitched roofs. There is also much more in the way of variety — Epilay’s products come in a variety of weights and there is both nail-in-place underlayment and peel-and-stick underlayment, which can make installation easier. Synthetics are lighter than traditional underlayment, so it’s easier to work with rolls of synthetic underlayment versus heavier rolls of traditional underlayment. If you’re considering making the switch to Epilay’s synthetic underlayment, then there are a few things you’ll need to know before you choose between our Protectite and Plystik Plus. Plystik Plus is a peel-and-stick underlayment, which means there is no need to nail it in place. It also features GripWalk, which ensures that the top layer of the underlayment has a high-traction surface, even when the underlayment is moist. Additionally, GripWalk makes the surface of the underlayment cooler, making it easier on workers during summer heat. Plystik Plus can be used with a variety of roofing materials, including asphalt, shakes, metal roofing and slate. Protectite features the same GripWalk system, and like traditional underlayment, it is installed by nailing it into place. This underlayment comes in 7 MIL, 11 MIL and 17 MIL weights. At the lighter end, Protectite is suitable for asphalt shingle and metal roofs, while the heavier 17 MIL Protectite works well not only with asphalt and metal, but also slate, clay and concrete tile roofing. There is a lot to consider when making the choice between synthetic roofing underlayment versus felt underlayment, but if you’re looking for longevity, a better work surface and better protection for the roof deck, then synthetics might just be the way to go! Thanks, this blog has been really helpful in showing me what it’s really like being an synthetic designer from the inside! I want to be an interior designer in the future, and want to find out more about it. Could you possibly tell me where I could find out more, work experience or different courses? I’d be very grateful. I really liked this, thank you. Hi, we manufacturer synthetic underlayment for roofing. For interior design, you may want to check with your local college to see what courses they offer.